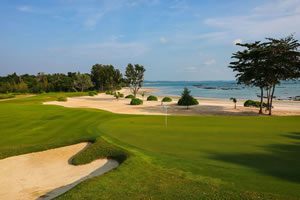 Golfasian Is the Largest Most Experienced Golf Tour Company in Asia, Which Is Why We Deliver the Greatest Selection, The Best Prices and the Most Reliable Hassle Free Service. Leaving You to Enjoy Your Best Golf Trip Ever! There are lots of tour companies you could choose to book your next golf vacation in Asia but allow me a few minutes of your time and I’ll explain why Golfasian books more rounds, more rooms and more tours than any other company… And gets more repeat business than all of the others combined! For over twenty years Golfasian has been covering over 20 exciting destinations, over 100 top courses and a wide range of accommodations from budget to luxury, hotels, villas and condos. So you get the country, region, course, accommodation type and tee time that’s just right for you. One call takes care of everything! 2. Golfasian Provides the Best Value-for-Money! Golfasian is the largest golf tour operator in Asia which means our buying power ensures we can offer you not only the best selection but the best deals as well. While many other companies have come and gone over the last two decades we deliver on our promises to the hotels and golf courses in the same we deliver to our clients. That makes us preferred partners for them and translates into better deals for you plus we cater for every budget from modest 3-star golf tours to luxury 5-star packages. We do not use any middleman or sub-suppliers. There are no hidden costs and we do not charge any booking fees. All compulsory items (e.g. golf carts, caddies, tolls, service fees, and taxes) are included up front in all of our quotes so you know exactly how much your golf trip will cost in advance. Golfasian guarantees to match any quote from any other tour operator for similar services. Golfasian staff regularly play all of the courses and are in contact with them on a daily basis allowing us to alert you of any on-going maintenance or expected slow-play from large groups or tournaments. Golfasian will then give you recommendations and/or alternate golf course options which means no bad surprises for you on the day of play. All accommodations have also been visited by our staff and chosen by us based on location, suitability and value for money. 5. Service by Real People Available 24/7 365 days a Year! Lost your hotel key at 1 am? It happens and when it does there will be someone at Golfasian on the other end of the phone to assist you! Our staff is knowledgeable, friendly, and professional and most are golfers themselves. 6. Hassle Free Transportation Wherever and Whenever You Want to Go! With Golfasian at the wheel you’ll never have to worry about finding the course, getting back to the hotel or enjoying a few beers after your round just leave the driving to us! Golfasian uses company owned vehicles and full time salaried drivers insuring you of vehicle quality, luxury, and safety. You can be picked-up when you want and your driver will be standing by whenever it is convenient for you to return. Unlike many other companies Golfasian has no waiting fees which mean that you are free to use your transportation and driver during golfing days as best suits your preferences. 7. Book in Complete Confidence – Guaranteed! Golfasian is bonded and insured in which means your monies are safe when you book with us. We are also so confident in our tours that we offer you guaranteed satisfaction. If any part of your package is not up to your expectations, we guarantee to rectify the situation or provide you will a full refund for the portion that you are unhappy with. This means that you are assured of a memorable and successful golf trip when you book with Golfasian. Golfasian offer various activities for non-golfers. Authentic cultural, adventure and historic tours are conducted on a private basis using licensed company employed guides. Shopping, massage/spa, and cooking classes are all available to non-golfers and golfers on their off days. Meaning golfers and non-golfers will have an equally enjoyable time! Hey let’s face it everyone loves freebies and each package we book includes something extra for you: Free golf hat, towel or shirt to name just a few. Very good organisation! Our tour was great thru Thailand! Excellent service. Quick responds and good recommendation of courses. We used them in Saigon and the service and back up as well as the courses were all great.. Nothings a problem for them. It was easy for us to change a couple of things in the booking.. Highly recommended. Have used Golfasian for over 13 years and would definitely recommend them to anyone wanting to play golf. We used them for a trip to Siem Reap and the service was fantastic. Reasonable prices and great experience. Highly recommend. The total experience was very good. i would like to explore other areas now, but we be happy to return to Bali for more. not yet try. Just see the first time the page and really interested since my retirement will be soon coming. perfekte ,verlässliche Organisation mit hoher Zuverlässigkeit. We just returned from a 15 day golf and cultural tour of Thailand. the golf courses were superb and the tours interesting and informative. Golf Asian was on top of things when our flight from Chiang Mai to Bangkok was delayed and we were met by our driver with no problem. Thanks for a wonderful time. First golfing trip to Thailand, and Golfasian were amazing! From the initial emails queries right through to meeting me for a round of golf in Bangkok, Golfasian were invested in making my trip memorable and they completely excelled my expectations. The team took the time to fully understand my interests and structured a tour across Thailand that was incredible. The drivers, the caddies, tte ournament staff, and the support staff all do an awesome job to make things as seamless as possible for you. They really know their stuff, they know the courses, the caddies, and the accomodation which ensures you gain the eperience you are truly looking for. Thanks to AJ, Richard, Brian and the extended team in Chiang Mai (two ball tournament) for a magical Thai golfing experience, I'm absolutely hooked and I'm already preparing my next adventure with Golfasian after being home for two days! 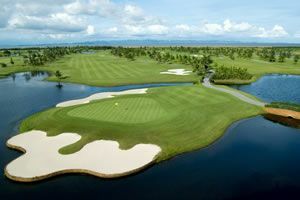 If you are looking for the ultimate golfing experience in Thailand (or anywhere in SE Asia for that matter), be sure to book it through Golfasian. Our third trip to Hua Hin with Golfasian and the best. There were 24 guys who all enjoyed themselves immensely. Ian Morgan was great to deal with from Australia and over there in Hua Hin. Jinny our tour guide was outstanding. Can’t wait till we return in 2020. Thank you Ian,Jinny,our superb drivers and Golfasian. 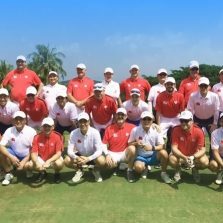 13 of us have just concluded our annual golf trip and this year was organised through GolfAsian Vietnam. Had the best ever experience from first enquiry to finally getting rid of us 😀. No dramas whatsoever from the known drama queens in our group 🤣 which is a good thing! I would like to especially acknowledge Ms Sophie and our guide for the trip Harry for an exceptional job. You will be getting our business again definitely!! Golfasian have done all my bookings and are most helpful never any pricing surprises, transport always on time and the golf course knowledge correct every time. Just returned from a great 2 week golf break in Vietnam (Hanoi, Ha Long, Danang, Ho Tram and HCMC) and generally the logistics etc were excellent with great attention to detail by GA. I've just completed the survey and made a few comments about what did go wrong and how perhaps a few things could be improved such as transport routings, driver wayfinding, caddie expertise, hotel ratings, etc. but generally an excellently organised trip and can't wait for the next one!! Had the most amazing time at the Pattaya singles week. Was truly sad when it was over. The courses we're awesome second only to all the people I met from all over the world some of Wich I plan on staying in contact with. The golf Asian staff was better than they enen probably had to be from start to finish. I will be recommending this trip to everyone I know and plan on using golf Asian every year for as long as I am physically able. Thanks again can't wait to see next year's tounament line up.